Ranet OLAP is a ready-to-use data analysis tool. While being an html5 reporting tool, it works with an XMLA data source Microsoft SSAS which in its turn can be connected to multiple database-management systems. In technical terms, the data is downloaded from the databases to Microsoft SSAS where the OLAP cube tool already has access to. We embedded more than 50 visual elements, services, and controls so you can carry out in-depth and comprehensive business data analysis. Ranet OLAP data analysis tool uses a single server platform and approach to UI implementation on HTML and WPF. Buy one-year subscription and get all the benefits from our data analysis tool. Create your unique reports using Ranet OLAP tools and libraries. Download our 30-days free trial and start testing right now! You obtain information right on time. 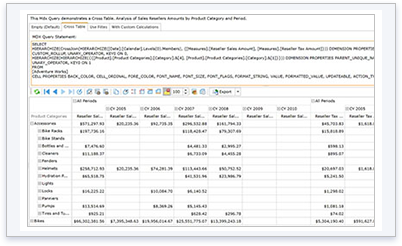 Ranet OLAP extracts data from the warehouse and presents information in the intuitive form of a pivot table in seconds. Flat learning curve. Working with Ranet OLAP interface doesn’t require any special training. It is understandable for both programmers and non-technical specialists. Our business intelligence reporting software, Ranet OLAP is easily extendable and integrated into inherited systems or other developers’ systems. Analysis Edition for OLAP reveals insidious facts. Using filters and graphic extensions in OLAP allows detecting hidden patterns and trends of company’s activities. It is comfortable. Using OLAP software, you can retrieve the required data anywhere, wherever in the world you are. 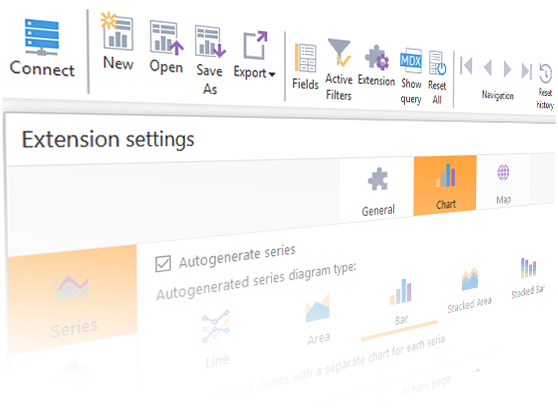 Cool graphic extensions and controls assist you in making visible and informative reports, that can be exported into MS Excel or an .xml file. 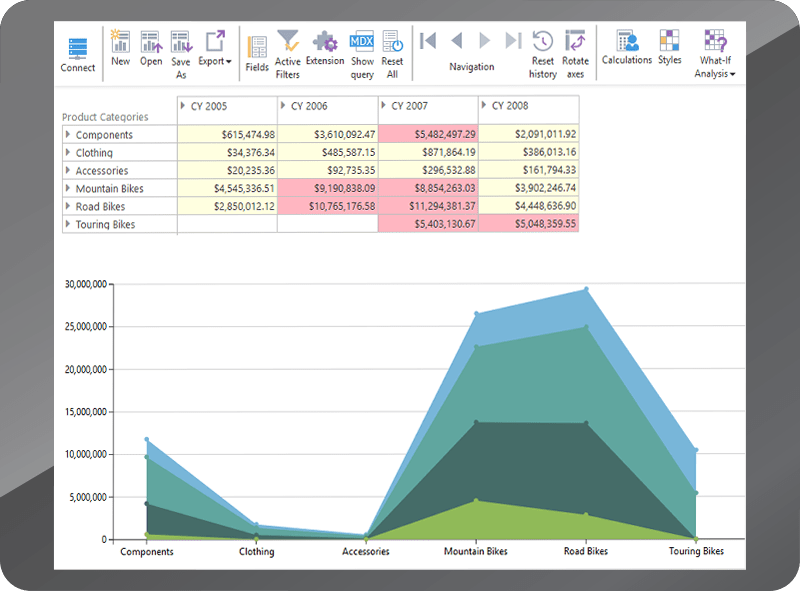 Pivot table designer is one of the core instruments of Ranet OLAP client. It enables you to analyze data from various perspectives via pivot charts, geographic maps, and business graphics. 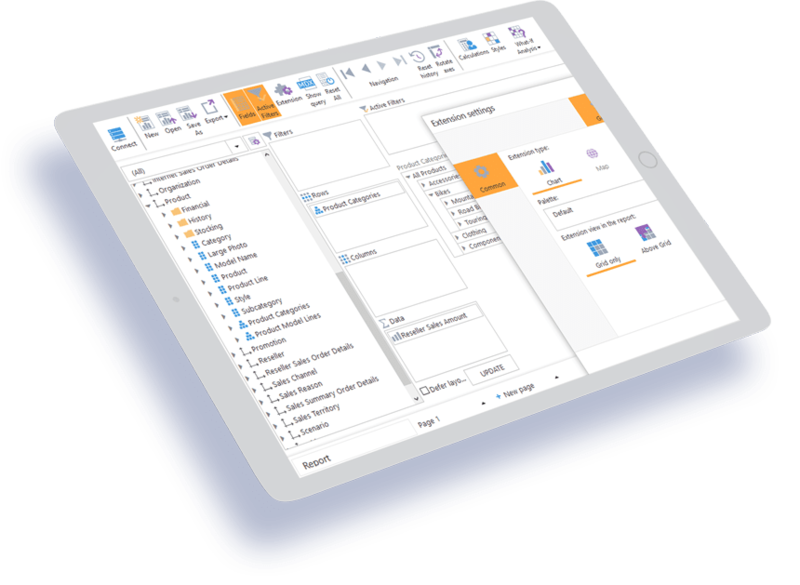 It consists of 5 active panels, which are involved in the pivot table layout customization process. A number of services have been designed to simplify analysis of endless columns of values: Drill down and Drill up buttons for viewing detailed and aggregated items respectively, Expand and Collapse commands etc. The power of MDX allows to extract even the most complex datasets instantly from OLAP cube software. Its best feature is that users can manipulate MDX queries as they want in order to obtain an excellent report. At the same time, collecting data in Ranet OLAP system is a pretty simple process even for users without technical background due to a special Design mode when OLAP system generates queries automatically. 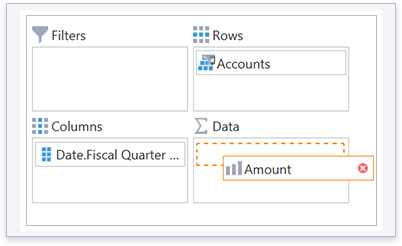 To make an ad-hoc report you just need to drag-and-drop elements from OLAP Cube Browser to the Selection Panel, which forms the structure of the soon-to-be pivot table. Save your personalized report layout settings on the server to use it for further work wherever you are at the moment. Use built-in OLAP graphic tools to emphasize undercurrent facts and find efficient solutions to discovered business problems. If OLAP datacubes support a write-back option, you can change data on a certain forecast right in the OLAP cube viewer and compare it to the initial data. Edited cells are clearly highlighted. All changes are isolated to your session so it does not interfere with another user’s work, and cube data will not be lost. At the same time, you can save a report with edited business values for later use in OLAP. 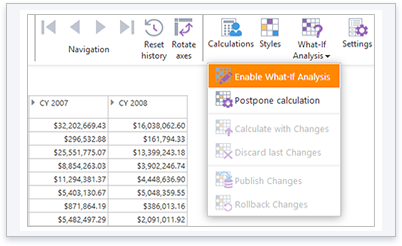 What-if analysis is a very helpful feature while drafting future spending plans. 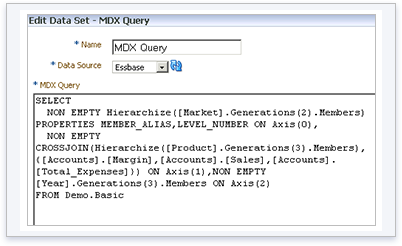 The area of the MDX query serves to display the MDX query in the pivot table Designer. According to the pivot table design mode, the MDX query may be generated automatically under the settings of the report structure in the report Designer or can be edited manually by the user. MDX Query Builder & Formatter demonstrates main Ranet OLAP library capabilities to create code templates in C# for generating MDX queries, MDX query parsing, and its formatting. You can generate MDX queries based on the templates formed in C# code. 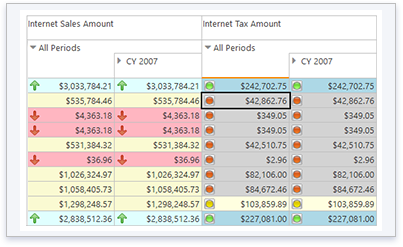 OLAP UI provides users with intuitive toolbars and controls. Functions names and icons are self-explanatory so you don’t have to surf on panels trying to find the ones you need right now. A number of OLAP controls have been designed for better and precise data search and excellent interactive reports making. We embedded dozens of controls and graphic features like sparklines, colour fill etc., so you can make your report or some parts of it more visible. Ranet OLAP is delivered with documentation and also examples of usage. Developers and businesses all over the world including USA, Western and Eastern Europe, Great Britain, China and Asia, Australia, South Africa, India, and other countries use our OLAP analysis tool. Our OLAP applications are actively exploited in healthcare, construction, service, and other kinds of business industries for effective business decision-making and reliable scientific research.